The second Nā Mamo Makamae o Ka Po‘e Hawai‘i: Living Treasures of the Hawaiian People was hosted by OHA and the PAʻI Foundation on February 8, 2019. The event honored five living master practitioners and knowledge keepers. Nā Mamo Makamae o Ka Po‘e Hawai‘i: Living Treasures of the Hawaiian People recognizes individuals and groups in Hawaiʻi and on the continent who have contributed to the preservation and perpetuation of Hawaiian cultural and artistic traditions and properties. It also honors cultural treasures who have labored for years to master traditional practices, inspiring present and future generations to ensure their continuation. 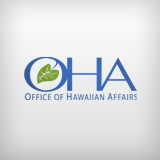 The Office of Hawaiian Affairs will be accepting nominations for Nā Mamo Makamae o ka Poʻe Hawaiʻi beginning in January of 2020, the agency’s third Living Treasures of the Hawaiian People program. Poʻokela: Individual or group has attained a high level of mastery in the Hawaiian culture and arts. Hoʻomau: Individual or group demonstrated and continues to demonstrate growth and learning and teaching in the area of mastery. Kūlia: The contribution of the artist a) inspires lāhui and b) takes and spreads mana Hawaiʻi throughout Hawaiʻi and beyond (e.g. through publications and DVDs). Mālama kekahi i kekahi: Artist’s works are made relevant to the times and environment. Relatedness and relationships are built. Moʻokūʻauhau: Individual has seniority and rank. The nomination form will be made available in January of 2020. For more information, email OHA Cultural Specialist Kalani Akana at kalania@oha.org. Doreen Moana Kaleookanakaleookapailaka Rose Henderson was born in 1925 in her grandfather Otto Rose’s cabin at Hilo One, where now stands the Naniloa Hotel. She was the eldest of three sisters and one brother. She enjoyed being her father’s shadow and project assistant, which is probably why her attention to detail is so keen. Fishing, car mechanics, house building – no task was too grand. Her father passed early in his life and too early in Aunty’s life. As a child, she and her sister were asked to collect bird feathers for one of her uncles who kept a variety of caged birds with attractive feathers. Aunty thinks this short phase of her life may have encouraged her love of defining beautiful feathers. Aunty Doreen is in her 94th year and living the life of a champion. All of her haumāna want to be like her. She continues to teach lei hulu every Wednesday at the Kea‘au Senior Center, even though she has officially retired. She has trained a number of alaka‘i to replace her as teachers. If you are considered a teacher and a graduate, you have met many hurdles and challenges and skills in learning lei hulu. There are thirteen lei hulu styles which must be perfected by her graduates. By Na Puakea Nogelmeier, PhD. No Ni‘ihau mai nō ‘o ‘Anakë Lolena Nicholas, kahi i hānau ‘ia ai he kanawalu mau makahiki aku nei. Keiki a Keuwao me Hana Nï‘au, ma Ni‘ihau nō ‘o ia i noho ai a i kona wā makua. Ma Kaua‘i ‘o ia i launa ai i kāna kāne aloha, ‘o ‘Anakala “Nicky” Nicholas, a ne‘e auane‘i lāua i O‘ahu me nā keiki ‘elua, ‘o Pua me Dukie. Ma O‘ahu nō ‘o ia i ho‘opūnana ai a hiki i këia lā. Komo koke ‘o Lolena i nā hana ‘ōlelo Hawai‘i ma ke Kulanui o Hawai‘i ma Mānoa, a he hoa pili ‘o ia no Larry Kimura a me nā kumu ‘ë a‘e o ia wā. Kāko‘o nui ‘o ia i ka Hui Aloha ‘Āina Tuahine, nāna i ho‘okumu i ka papahana lekiō ‘o Ka Leo Hawai‘i, 1972-1986. He hoa kipa ‘o ia me Lale ma Ka Leo Hawai‘i i kahi hapa o ka manawa, a ‘o Lolena ka hoa kama‘ilio i ka manawa e kipa ai a kelepona mai paha kekahi hoa Ni‘ihau i ka papahana lekiō. I ka ho‘āla hou ‘ana iā Ka Leo Hawai‘i i ka makahiki 1989, lilo ‘o Lolena i kōko‘okolu me Hau‘oli Akaka a ‘o Puakea Nogelmeier no ‘umi a ‘oi makahiki hou o ia papahana e kipa ana a e ho‘okipa ana ho‘i i nā mānaleo o ka pae ‘āina. What is the measure and role of the Hawaiian male by today’s standards? By the time I came to know of Umi Kai some 20 years ago, he was already a respected cultural practitioner in the Hawaiian community, and a noted master of reproducing traditional mea kaua (weapons) and implements, having produced his first weapon in 1967 when he was a high school student. Today ‘Umi is an ‘Ōlohe lua (master of Hawaiian fighting arts) of Pā Ku‘i A Lua, the President of ‘Aha Kāne Board of Directors and a Kūpuna of Hale Mua o Kuali‘i. And here we are, me and my conversation companion Reminisce, sitting together remembering when I first met this woman who is being honored, Pualani Kanaka‘ole Kanahele. She is a woman from Front Street, Keaukaha, in the land section of Waiākea, in the district of Hilo-Hanakahi, Hawai‘i Island, and she is a pampered child of Luka Kanaka‘ole, the father, and Edith Kenao Kanaka‘ole, the mother. Both of her parents are descendants of Ka‘ū and Puna districts, lands perpetually glowing in the mountain fire of Maunaloa. I can recall the afternoon when I met Jerry Walker. We were in Kekaha, Kaua‘i, where he was giving a seminar on lua. He looked at me and without skipping a beat he said, in a heavy Polynesian accent, “Looks like it’s kona wind!” I nodded in agreement, quite puzzled about about the accent. Then he said, “And it looks like it’s kona wain, too!” I couldn’t help but laugh. I knew right there, that he was a special person.